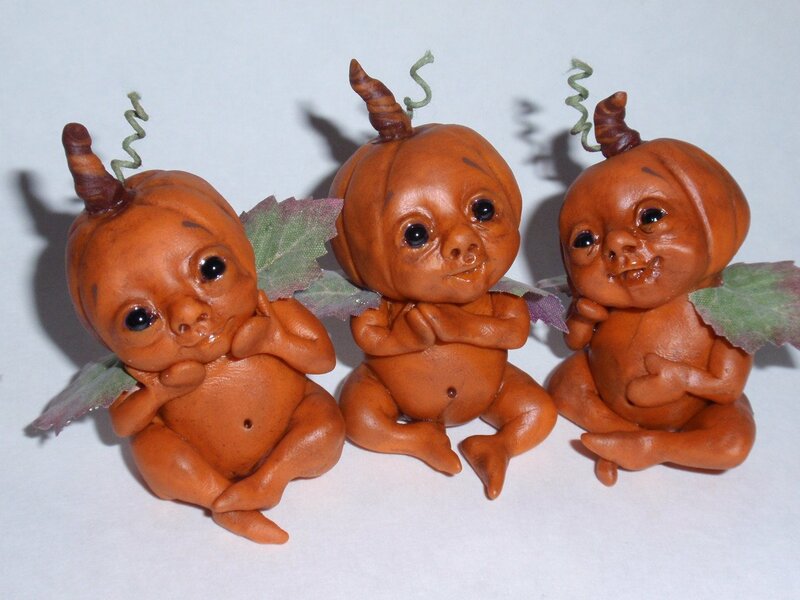 The little pumpkin guys are $45 each with $4 shipping. They are slightly larger than your peeps but would make good companions! These three are fantastic!…and such detail on such a tiny face, amazing work as always! Thanks so much for stopping by my web site. I really appreciate your nice comment! Those expressions are priceless as are you. I got the gallery I want and I want you! Thanks Renee. I’m so excited for you about your gallery…count me in!